Why Isn’t My Rat Trap Working? 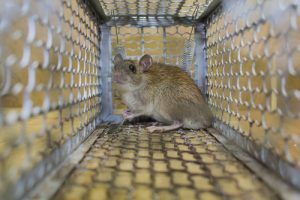 Poor Acclimation – If you want your traps to be effective, you need to acclimate the rats to their surroundings properly. If you place a trap and expect results that night, your chances are low. Rats will be less likely to investigate the trap since it stands out as new and potentially frightening. Leave the traps out but don’t set them for a few days to trick the rats into thinking they are safe. Too Few Traps – Even if you slowly acclimate them to trust the traps, rats can quickly catch on once the traps prove to be dangerous. If you are only setting a few traps, then after the first night or two, your chances will be shot. Statistically, you have the greatest yield on the first night, so set several traps at the same time to catch the most rats in one shot. Improper Trap – It isn’t uncommon for people to grab any old snap trap that they find on the shelf, but you should take care in ensuring that you use the right trap. While mouse traps look similar and serve the same function, rat traps are significantly larger and stronger. If you use the wrong trap on a rat, there is no guarantee that it will work properly. Bad Location – The best way to trap rats is by placing the traps where they are most likely to be. They avoid open areas out of fear so putting the trap in the center of the room will do you no good. Instead, place the trap along the wall. Rats stay along the edge of the wall for safety and are more likely to step over the trap instead of venturing out in the open to get around it. Also, be sure to have the baited end flush against the wall, so they are more inclined to go after the bait. When it comes to removing rats from your home, a do-it-yourself trap can be incredibly useful. For more serious infestations, however, your safest bet is to rely on the experts at Critter Control® of West Palm Beach. Our decades of experience and dedication to providing fantastic customer service help ensure that you receive top-tier removal services, so don’t hesitate; call us today at 561-274-0224 for your free consultation.